Ranking on number 20th on the Forbes List of Powerful People, number 13th on the Forbes 400 and on number 24th in the Forbes list of Billionaires, Sergey Brin, the Co-founder and Director of Special Projects at Google, is one of the most influential business magnates in the world and has proven so with his exceptional entrepreneurial skills. 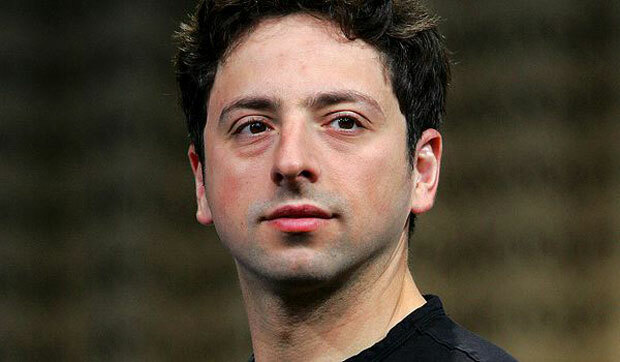 Sergey Brin was born on 21st August 1973 Moscow, Russia. In order to escape from the Soviet oppression he immigrated to United States with his parents at the age of 6. He went to grade school at the Paint Branch Montessori School in Adelphi, Maryland but he received most of his education from his father at home. He enrolled in the University of Maryland at College Park and graduated with a degree of Bachelor of Science in 1993. Brin then won a scholarship from the National Science Foundation and went to Stanford University where he studied computer science. He also did an internship at Wolfram Research. To continue with his studies, Brin went to Stanford again to do a PhD in computer science but left on a leave to work on his project that later became known to the world as Google. Brin met Larry Page at Stanford during his PhD program at Stanford. They became good friends and found a common interest that led to the development of Google which was initially a research project. They made a search engine that gave out a list of results according to the popularity of the web pages. They derived the name ‘Google’ from a mathematical term ‘Googol’ which means a 1 followed by hundred zeroes. This name also reflected their goal to organize the vast amount of information under a single platform. They collected funds and investments from family and friends and on gaining a million dollars launched their company in 1998. Since that time Google has been the number one search engine. It is the most popular and most used search engine and over 200 million searches are conducted on it every day. Its headquarters are in the Silicon Valley where Brin and his partner Page continue to work on their brainchild in order to make it better and more advanced. Both colleagues share the responsibilities of the work as the director of Special Projects. Brin has been honored with many awards for his immense contribution to the world for it is due to his efforts (along with Larry Page) that have literally changed the way the world works. He was one of the top 100 innovators in the world aged below 35. He got an honorary MBA for ‘embodying the entrepreneurial spirit and lending the momentum to the creation of new businesses’. He received the Academy of Achievement’s Golden Plate Award in 2004. The same year he also received the ‘Highest Award in Engineering’, the ‘Marconi Foundation Prize’. In 2009, Brin was included in the National Academy of Achievement’ and was also ranked as the 5th most powerful person in the world. His net worth is 18.7 billion dollars making him the 24th richest person of the world.